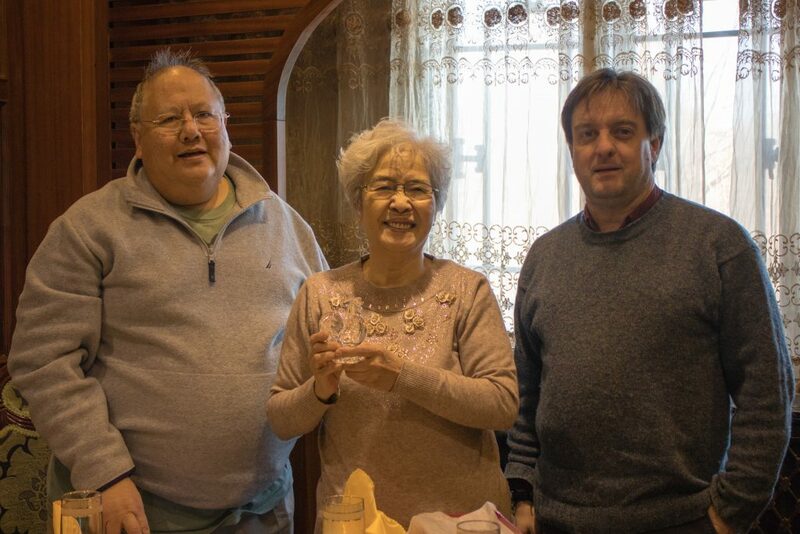 On January 10, the Lee Campbell Group gathered for a celebratory lunch to congratulate Professor Sun Huicheng on her retirement and thank her for her many contributions to Group research. 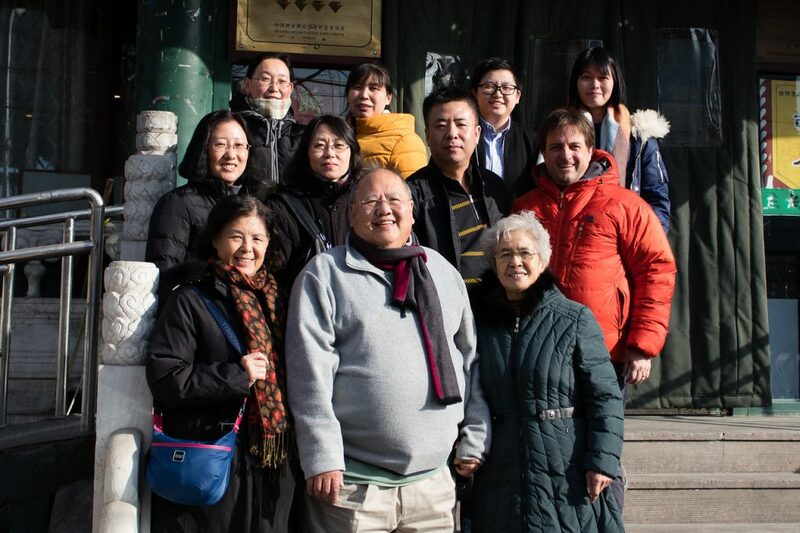 The lunch was held at 南来顺饭庄(南菜园店) in Beijing. Attendees from left to right starting with the upper row include Chen Weiran, Li Xiulan, Yunzhu Ren, Xiangning Li, Jiyang, Zhao Mi, Ge Xiaodong, Cameron Campbell, Xiao Xing, James Z. Lee, and Sun Huicheng. Matthew Noellert was also present but had to leave early to return to the USA. Previously on the faculty of 中国海洋大学 China’s Ocean University in Qingdao, Professor Sun joined the Lee-Campbell Group in December 1999. 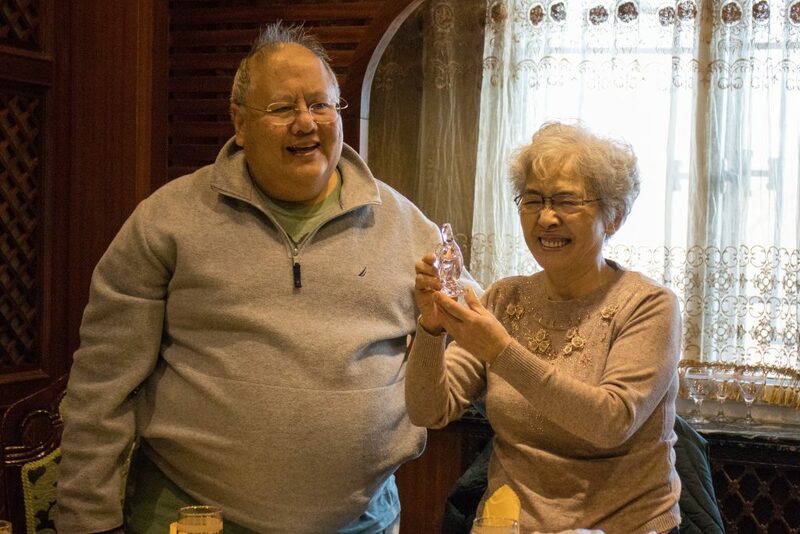 Over the next seventeen years she made continuous important research contributions working with an enthusiasm and energy level that inspired and touched us all. We would like to express our appreciation here for everything that Professor Sun has done for us. On 6 January 2017, a delegation from the Institute of Qing History at Renmin University visited the HKUST School of Humanities and Social Science and signed a MOU to cooperate in post graduate student training as well as the organization of a series of scholarly meetings associated with periodic public data releases from the CGED-Q including the production and distribution of related scholarly materials such as a series of accompanying User Guides. Renmin delegates included Zhu Hu 朱浒, Director of the Institute of Qing History, Hu Heng 胡恒, Vice Director of the Institute of Qing History, Liu Wenpeng 刘文鹏, Vice Director of the Institute of Qing History, and Hu Xiangyu 胡祥雨, Associate Professor at the Institute of Qing History. HKUST counterparts included James Z. Lee, Dean of the School of Humanities and Social Science, Cameron Campbell, SHSS Associate Dean for Research and Graduate Study, Lawrence Zhang, Assistant Professor of History, Bijia Chen, PhD candidate in social science and HKPFS recipient, and Lian Bai, the Head of the HKUST SHSS International and Mainland Program Office.